In a sample of 46 children aged 4–7 years with Autism Spectrum Disorder (ASD) and intelligible speech, there was no statistical support for the hypothesis of concomitant Childhood Apraxia of Speech (CAS). Perceptual and acoustic measures of participants’ speech, prosody, and voice were compared with data from 40 typically-developing children, 13 preschool children with Speech Delay, and 15 participants aged 5–49 years with CAS in neurogenetic disorders. 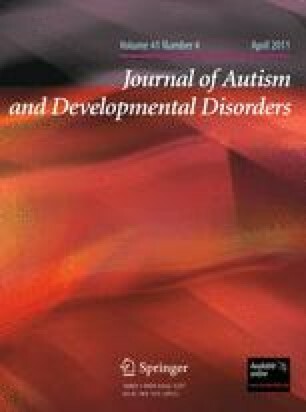 Speech Delay and Speech Errors, respectively, were modestly and substantially more prevalent in participants with ASD than reported population estimates. Double dissociations in speech, prosody, and voice impairments in ASD were interpreted as consistent with a speech attunement framework, rather than with the motor speech impairments that define CAS. We thank the following people in Madison for their assistance with this research: Jessica Hersh, Heather Karlsson, Heather Lohmeier, Jane McSweeny, Rebecca Rutkowski, Christie Tilkens, and David Wilson. In addition, we thank the following people in New Haven: Maysa Akbar, Kathleen Koenig, Moira Lewis, and Allison Lee for their data collection and clinical characterization, and Fred Volkmar, Director, Yale Child Study Center. This research was supported by National Institute on Deafness and Other Communication Disorders Grants DC007129 and DC000496 and by a core grant to the Waisman Center from the National Institute of Child Health and Development (Grant HD03352). American Speech-Language-Hearing Association (ASHA). (2007a). Childhood apraxia of speech [Position Statement]. Available from www.asha.org/policy. American Speech-Language-Hearing Association (ASHA). (2007b). Childhood apraxia of speech [Technical Report]. Available from www.asha.org/policy. Sharda, M., Subhadra, T. P., Sahay, S., Nagaraja, C., Singh, L., Mishra, R., et al. (2010). Sounds of melody—Pitch patterns of speech in autism. Neuroscience Letters. doi: 10.1016/j.neulet.2010.04.066.